So, this past week, the hermanas who were here in Nebel with us had an emergency transfer to another part of the mission. We might be getting more hermanas in the future, but for now we were left with all of Nebel. Our area is now twice as big, and we have twice as much work! But it is the best. So many people to teach, so many people to find, so many members to participate! We're having a great time. This last week we had a mission conference with Elder Mark A. Bragg of the Seventy. He is the second counselor in the South America South Area Presidency and a General Authority. What an amazing man! He was so full of the Spirit, so kind, loving, but firm. When he talked, we could just immediately feel his love for each of us as missionaries. He talked to us a lot about the importance of being obedient, and the power that comes from keeping God's commandments. He also talked to us about how to better work with members and help them understand that this is THEIR work, not ours. He told us how in Handbook 2 of the Church, it talks about Member Missionary Work. Not just missionary work, but MEMBER missionary work, and what role the missionaries play in that work. Something that he talked about as well was the importance of family history and temple work in missionary work. He told us that us missionaries on this side of the veil have the great opportunity to teach children of God and help them be baptized and receive essential ordinances. However, the missionaries who are working on the other side of the veil don't have the opportunity to baptize those they teach. They can, however, help us to find descendants of the people they teach, so that they in turn can search out their ancestors that have already been taught, and perform baptisms on their behalf. Every convert that joins the church is not just one soul, not just generations of descendants, but generations of ancestors as well! How great is the importance of missionary work! Overall, it was an inspiring conference, and I received a lot of personal revelation. Our investigator Axxx is progressing well! We had an awesome lesson this last week with a member present, and we taught the Restoration in depth. He had so many great questions, and just wanted to know everything! He has health challenges, and having to take care of his wife, who has more challenges than him, he wasn't able to come to church, but he has great desires to learn. It has made me think about my own desires to learn. As he listened to us teach about these eternal principles and truths, he was truly feasting upon our words. I began to ask myself, Am I feasting upon the words of Christ like Axxx? Do I hunger and thirst after righteousness? I think we can all learn from his example and more earnestly seek to learn the doctrine of Christ and learn how to better put it into practice in our lives. I hope that we can all comprehend the importance of learning the gospel, putting it into practice, and then sharing it with others. Missionary work is the work of God. It is is the work of salvation, and it is the work of every member in the church. It is not something new. This is a work that began long before this life, as we taught the doctrines to our brothers and sisters. The plan of salvation IS missionary work. May we share the gospel in every opportunity we have, and honor the covenants that we have made! Our 4th of July fare: hamburgers and french fries, ice cream, and root beer (made with some A&W packets that Elder Frey had). It was good. 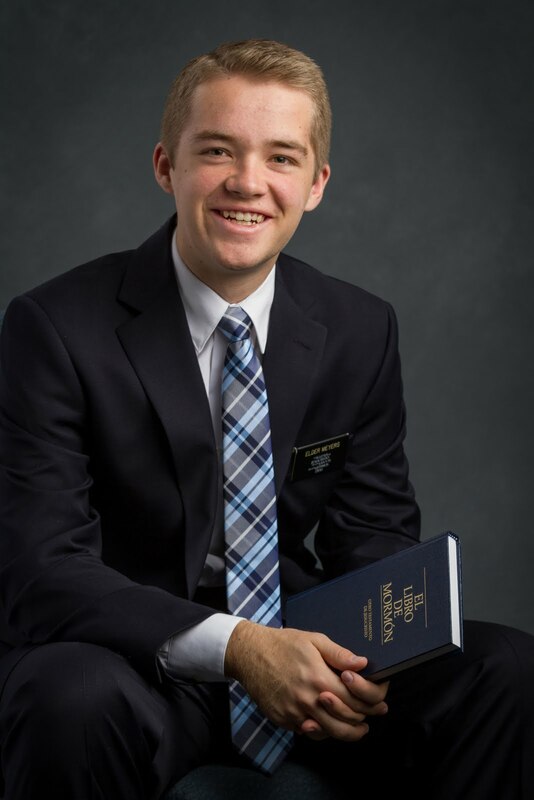 I am a missionary for the Church of Jesus Christ of Latter Day Saints, currently serving in the Argentina Santa Fe mission. Write Elder Meyers -- He would love to hear from you!